Now you can host UNMETERED websites on the one web hosting plan. If you have 14 websites that works out at less than $1 per website! 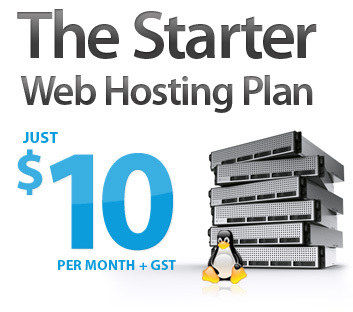 Our Starter Webhosting Plan may be cheap in price, but it is rich in diskspace and powerful features! You'd be hard pushed to find a better value hosting plan with these server specifications, with any another New Zealand owned web hosting provider. The features of this hosting plan, allow you to upload all types websites, from a simple static website, through to a full-blown database driven online presence. With full server support for PHP and MySQL, a large bandwidth allowance and lots of disk space, you're all set to go.